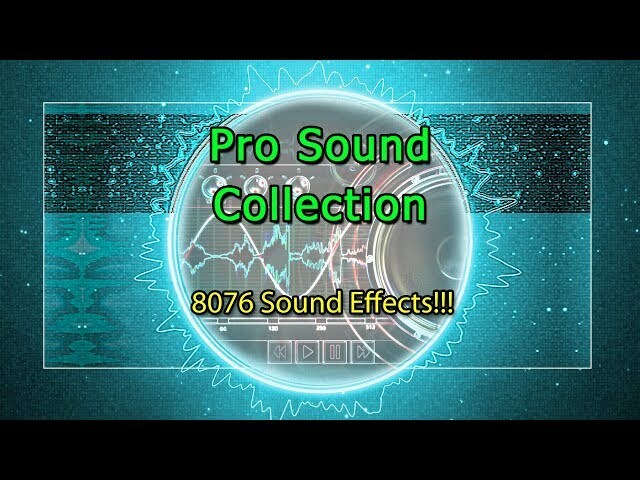 Pro Sound Collection is a massive collection of professionally recorded, edited and designed sound effects. 8076 total sounds! 3 hours and 9 minutes of audio. These sounds are perfect for all indie developers who need a large range of high quality sound effects ready to use. Designed specifically for games by award winning sound designers. • Alarms • Ambience • Animals • Beeps • Bullets • Buttons • Cartoon • Cinematic • Collectibles • Comedy • Doors • Electricity • Explosions • Fire • Foley • Footsteps • Guns • Hums • Items • Levers • Magic • Misc. • Nature • Powerups • Punches • Retro/8Bit • Sci-Fi • Snow / Ice • Switches • User Interface • Voice • Water • Weapons • Whooshes + MANY MORE! Pro Sound Collection contains EVERYTHING from ALL our other sound packs.